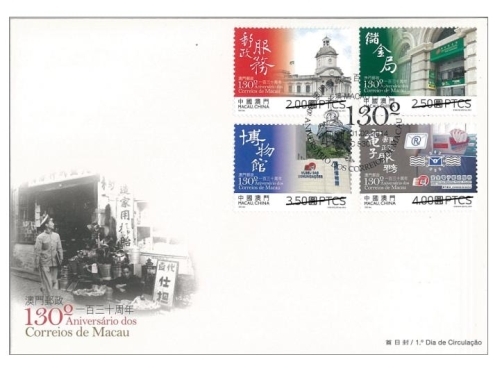 STAMP ISSUE "130th ANNIVERSARY OF MACAO POST"
Macao Post, established in 1884, reaches its 130 years this year, it witnesses the continued evolution of economy, society and technology development in Macao. 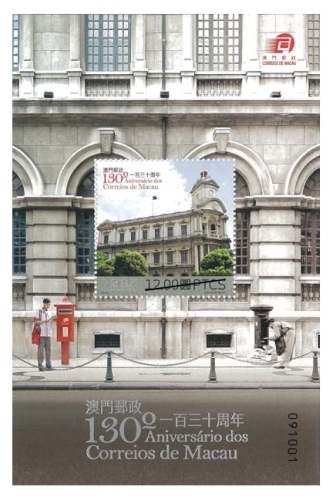 To mark this anniversary and important historic milestone, Macao Post will issue the stamp theme "130th Anniversary of Macao Post" on 1st March, 2014. 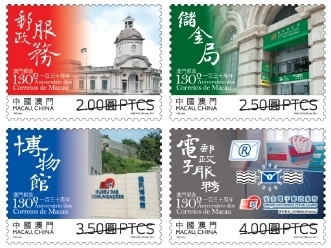 This issue includes a set of four stamps illustrates the four main service areas of Macao Post, including “Postal Service”, “Postal Savings Service”, "Communications Museum” and “Electronic Postal Service". 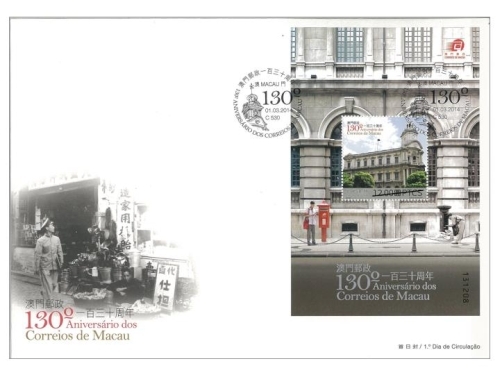 The souvenir sheet shows the building of Macao Post Headquarters, which was built in 1929 with the characteristics of Portuguese architecture, as well as the cylindrical pillar box in the period of Portuguese-Macao government and the current pillar box to contrast the passage of time. It also launches the first souvenir sheet produced with 100% genuine silk made in Italy. 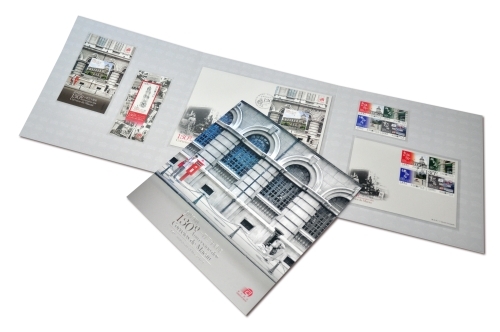 It shows the sketch image of Macao Post Headquarters, which is drawn by the Macao painter Mr. Lok Hei, presented together with the prestigious postal historical photographs in collage form. Each silk souvenir sheet is accompanied by a certificate of authenticity, it is certainly a prestigious and valuable collectible product. 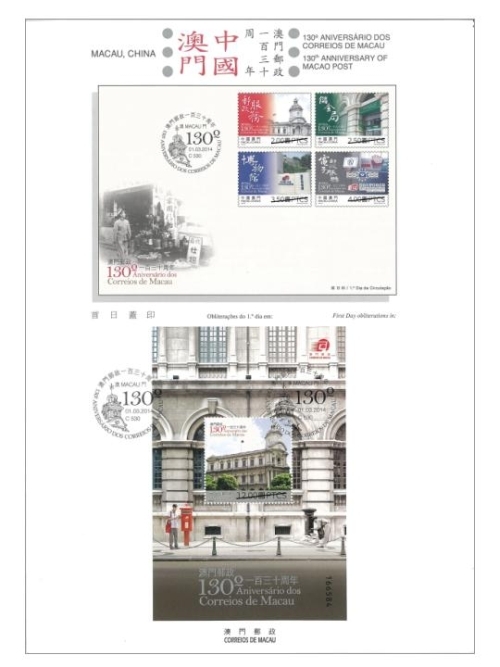 Besides the above philatelic products, the presentation pack with the theme "130th Anniversary of Macao Post" will also be released. 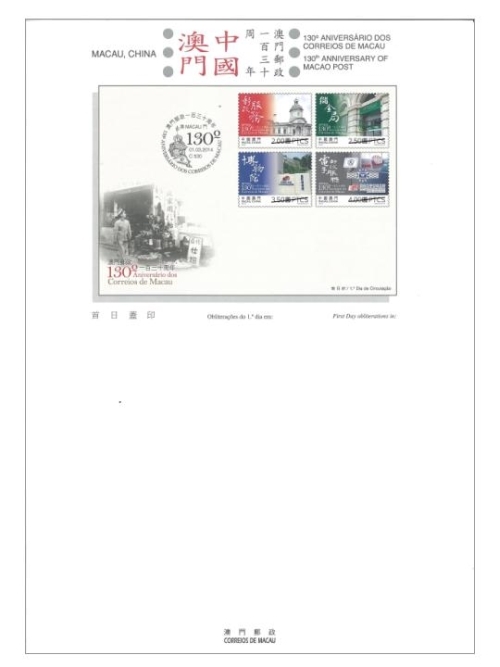 This pack contains four stamps, one souvenir sheet, one silk souvenir sheet, one first day cover with stamps and one first day cover with souvenir sheet, it is priced at MOP180.00 each. 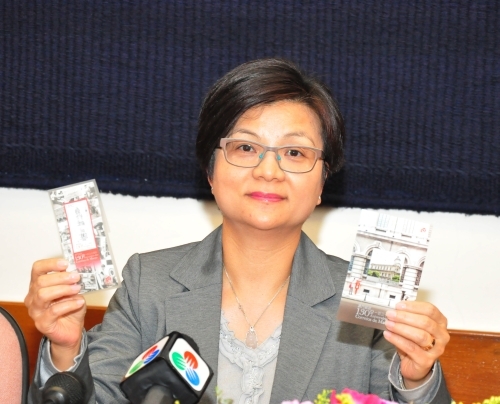 The composition of this issue is designed by Macao Post, and the text of the information brochure is written by the Director of Macao Post, Ms. Lau Wai Meng. This is the fourth issue in 2014. 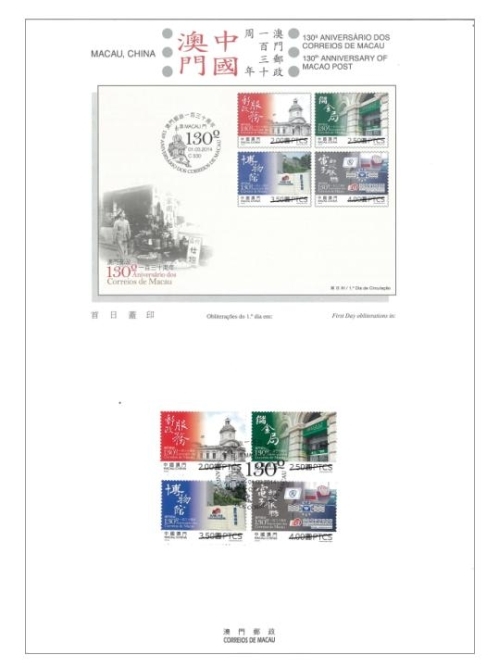 The previous issued stamps are "Lunar Year of the Horse" on 03/01/2014, "140th Anniversary of Conde de São Januário General Hospital" on 06/01/2014 and the label stamp "Lunar Year of the Horse" on 14/02/2014. 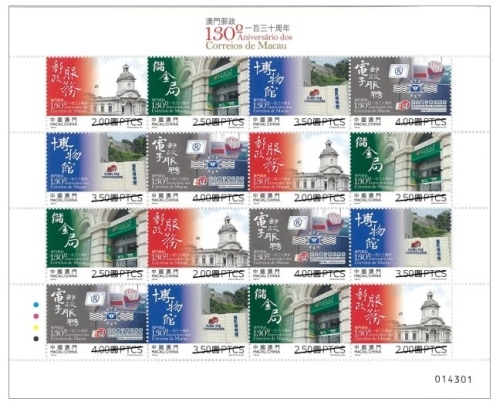 Technical Data of Stamp "130th Anniversary of Macao Post"